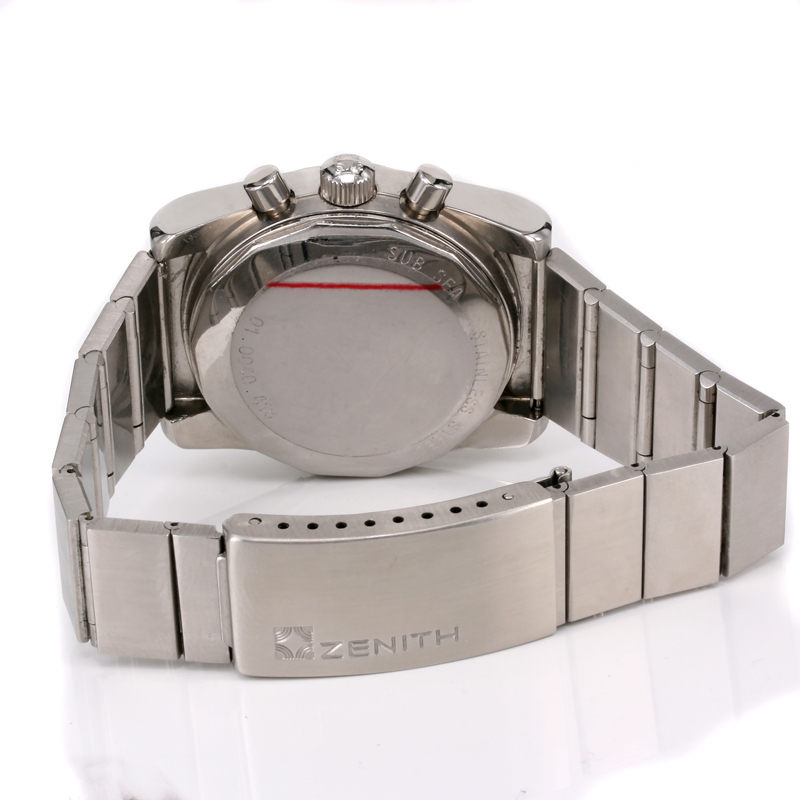 Product code: W743cc Category: Sold Watches. 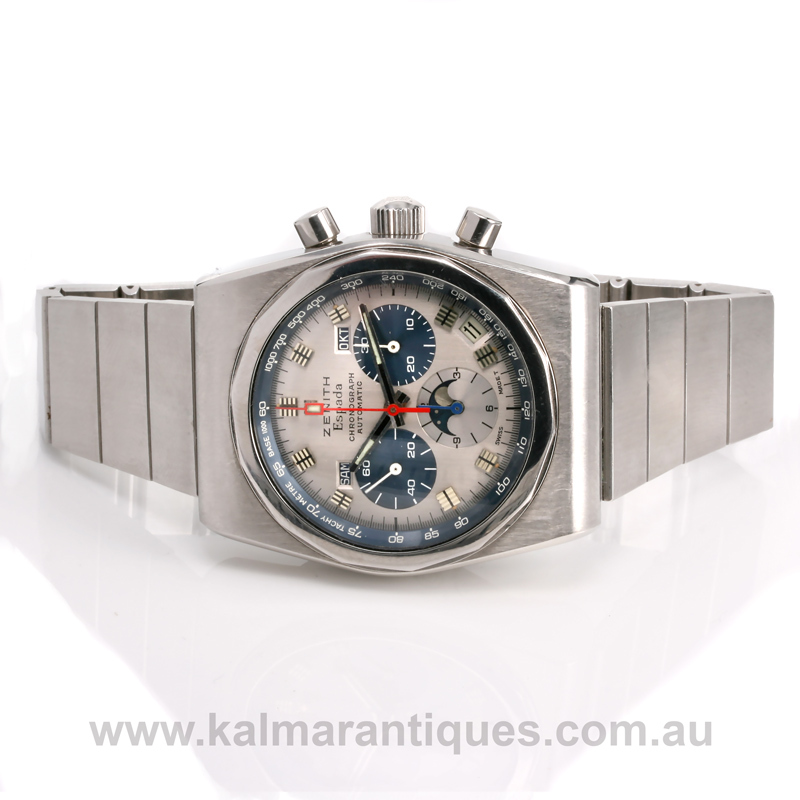 Zenith are known as one producing some of the world’s best watch movements including their infamous Zenith El Primero which was in the Rolex Daytona for a while, and here is a very rare and collectable vintage Zenith Espada chronograph watch reference 01.0040.418. This watch was the first in the world to be a fully automatic chronograph watch with calendar and moonphase functions and making this even more rare and hard to find, the Zenith Espada was produced between 1973 to 1975 and only 500 were ever made! With a superb looking dial with the chronograph functions, the addition of the day, date and month functions is only surpassed by the moonphase window at the bottom. With its bright red centre sweep second hand for ease to read when timing, the watch, the stainless steel watch case measures 38mm across plus the crown and pushers. 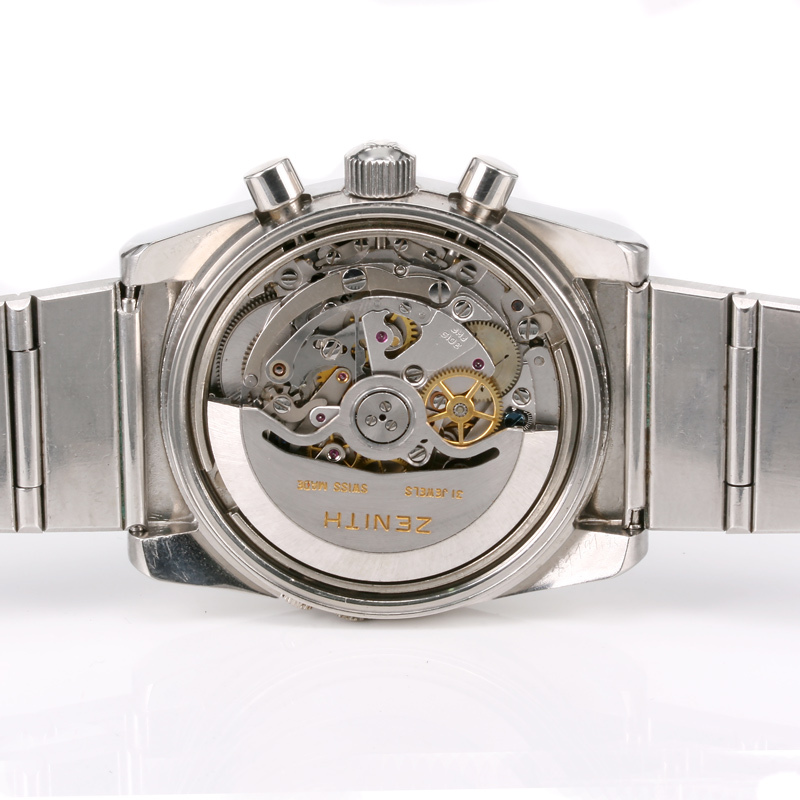 Inside is the brilliant 31 jewelled automatic Zenith calibre 3019 that keeps superb time and comes with our twelve month warranty. Fitted on the original Zenith stainless steel band, this highly sought after and collectable vintage Zenith Espada is a great watch and a great talking piece.